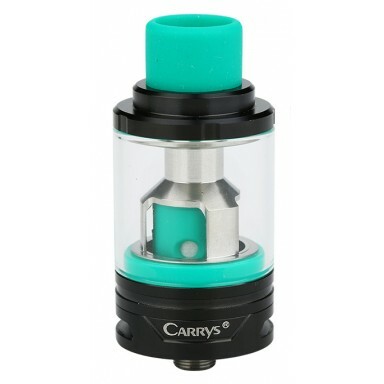 Carrys Green Tank is a 4ml sub ohm atomizer with 24.5mm diameter. 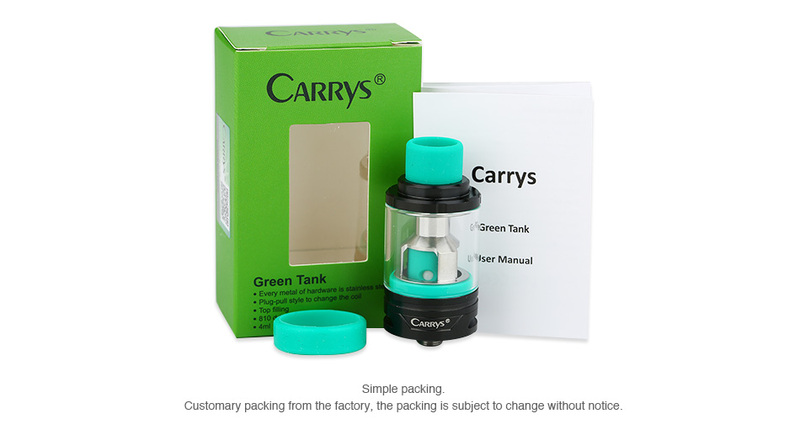 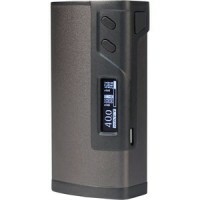 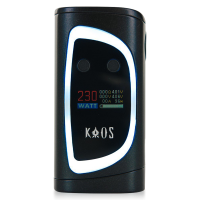 It adopts easy top filling system and adjustable bottom airflow. 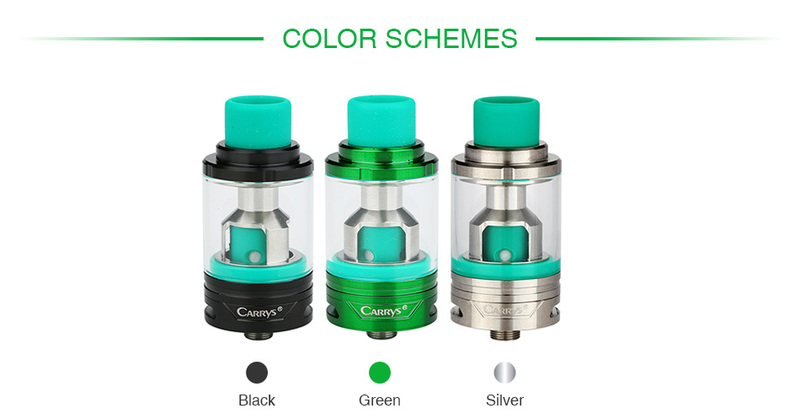 The Green tank features food grade silicone drip tip, coil sleeve and o-rings without any residual taste. 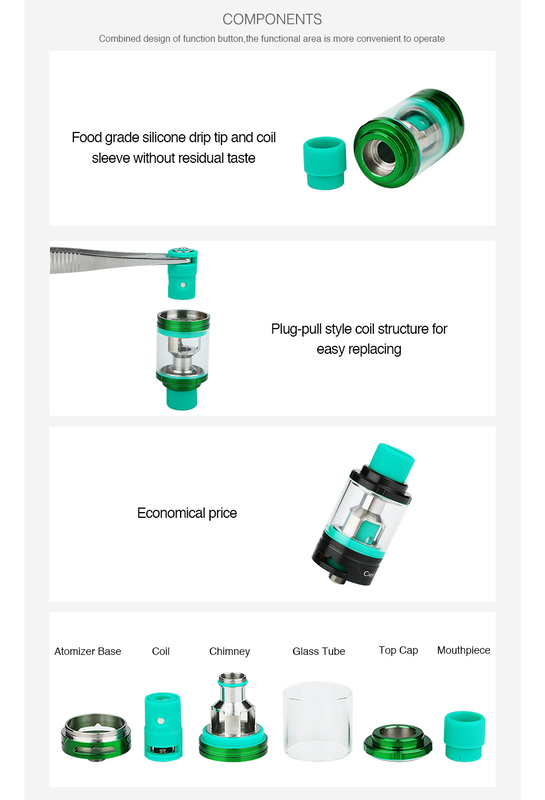 And you can replace the coil with plug-pull style coil structure. 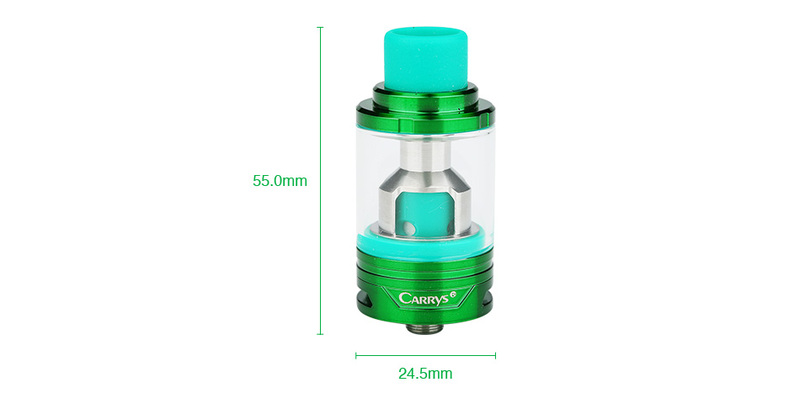 And the 0.5ohm G1 coil will delivers pure flavor with great vaping experience. 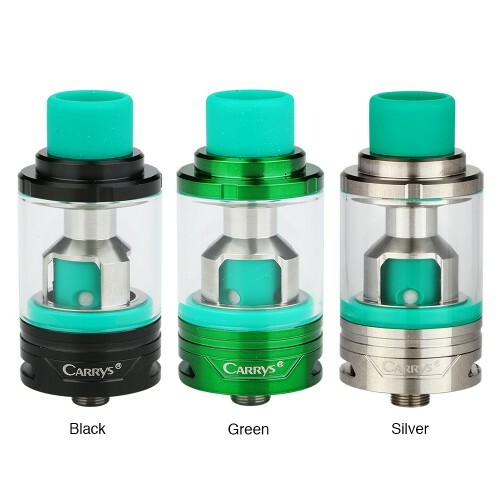 3 colors.